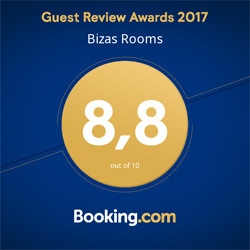 Paros Accommodations Bizas are located a short walk from the centre of the historic capital of Greece's Paros Island, Parikia, in a beautiful garden filled with flowering plants and evergreen trees. Spotlessly clean, rooms are equipped with every modern convenience, and enjoy unbeatable views over the peaceful countryside which surrounds them. 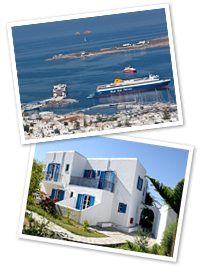 Relax, and enjoy your holidays in Greece in style and comfort, at Paros Accommodations Bizas.